Welcome to Hungry Minds Family, Richiel! We would like to welcome Richiel Sta. Maria to the Food for Hungry Minds family! 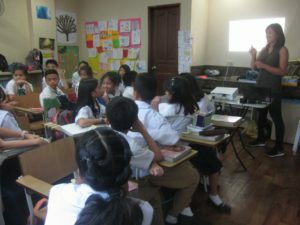 Richiel is partnered with Kaya Collaborative, a 2-month program that brings young global Filipino leaders back to the Philippines through internships with leaders of change. 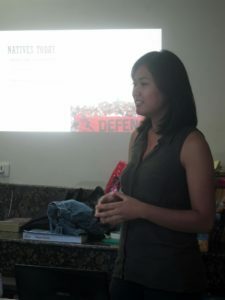 Richiel recently held a discussion with our 6th grade students about Native Americans and her experience living in the United States. Welcome to Hungry Minds family, Richiel! We hope you will have a fun and meaningful time with us!